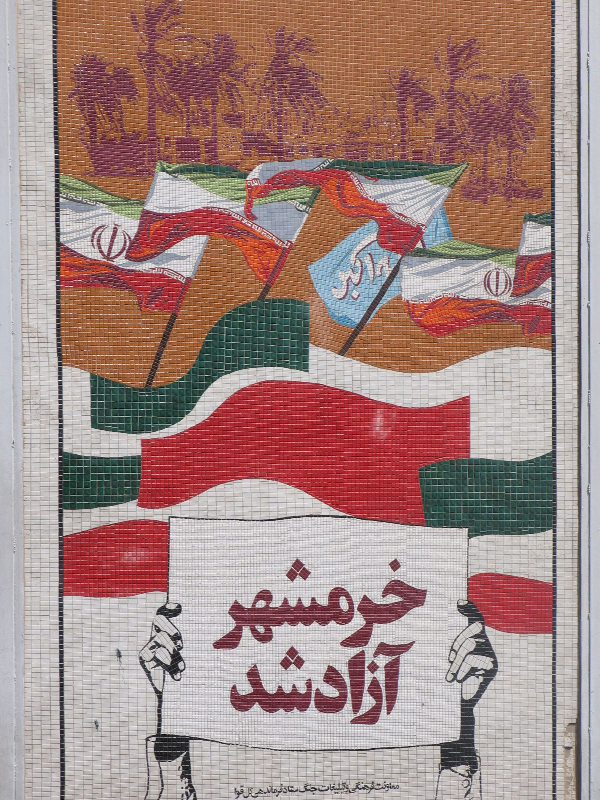 This week, APAD is having a look at the Harvard College Library collection Tehran Propaganda Murals. 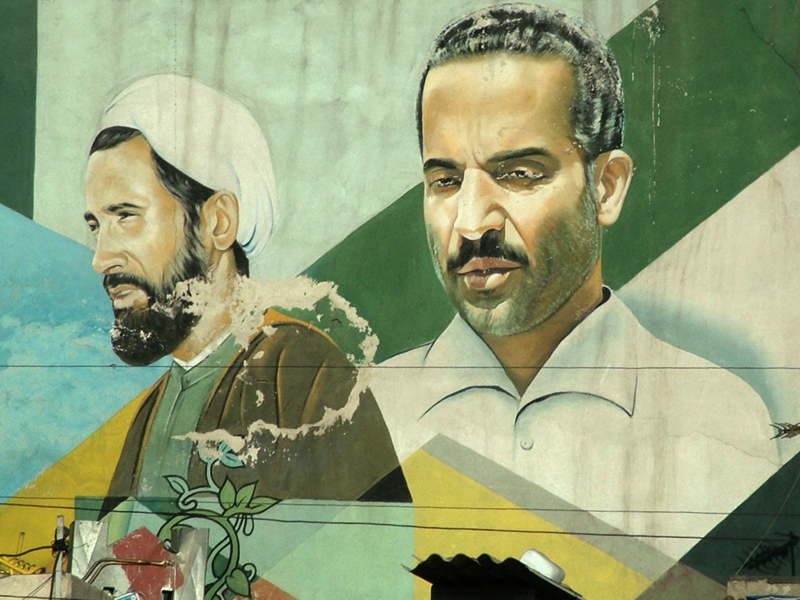 A part of daily life in contemporary Iran, propaganda murals appear throughout Tehran on both public and private buildings and contain powerful iconographic imagery. 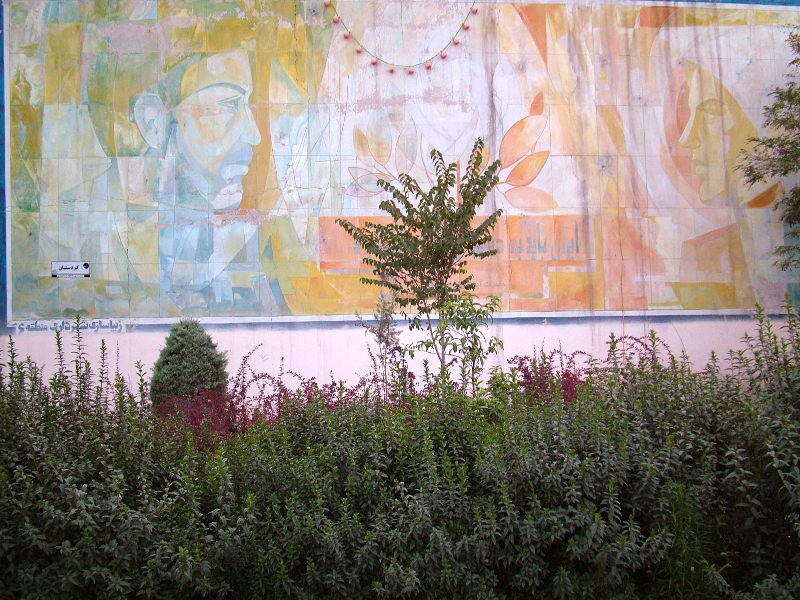 This selection of over 130 propaganda murals photographed in the capital city during the summer of 2006 is among the first “born digital” special collections to come to the library and represents one of the first efforts to systematically document such public murals. Today’s image title is Khorramshahr has been liberated. Image by Fotini Christia, 2006. 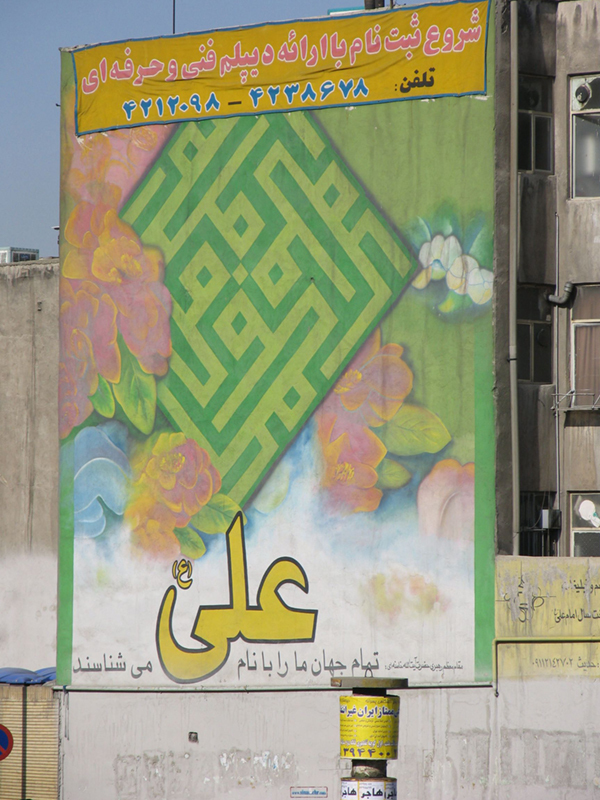 Today’s image: Mural located on Sayyad Shirazi Freeway, Hashtieh, Tehran. 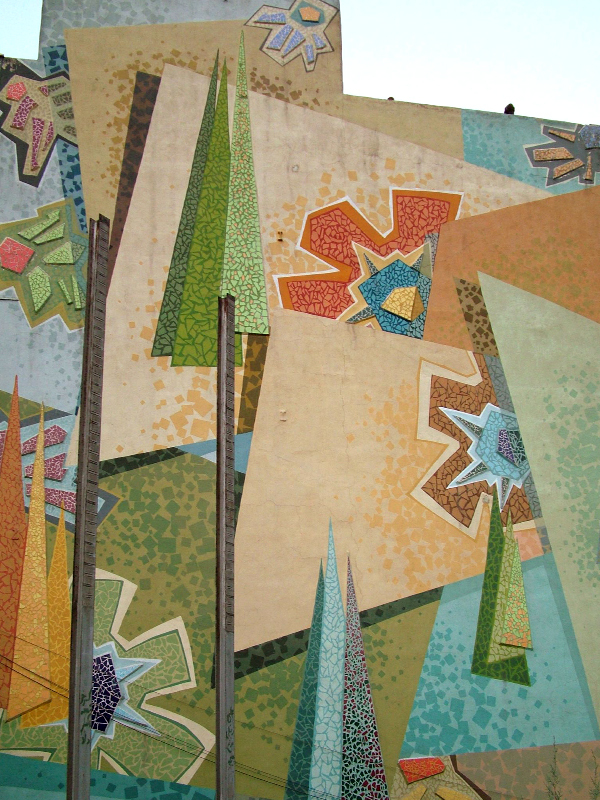 Image by Fotini Christia, 2006 from HCL collection Tehran Propaganda Murals. Today’s image: The perfect human being is a hero of all human values in all fields of humanity. 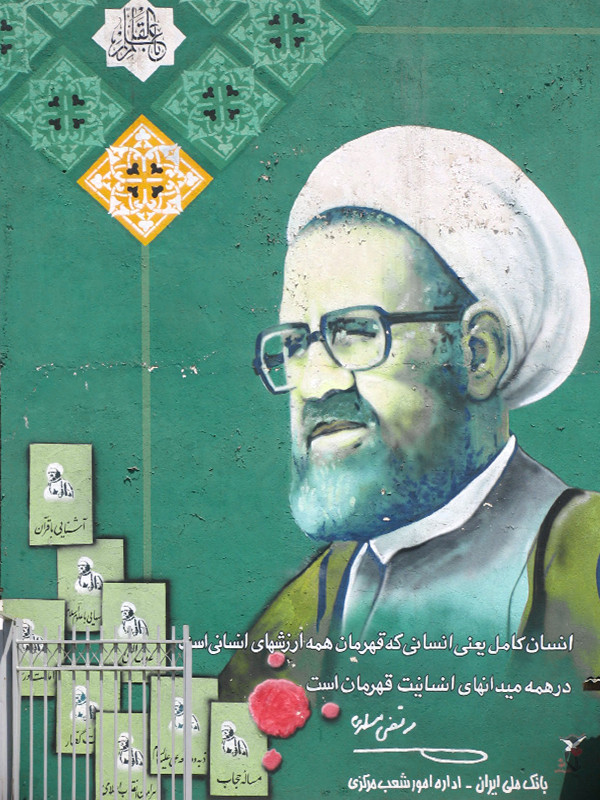 Today’s image: Iran should be built by the hands of Iranians. 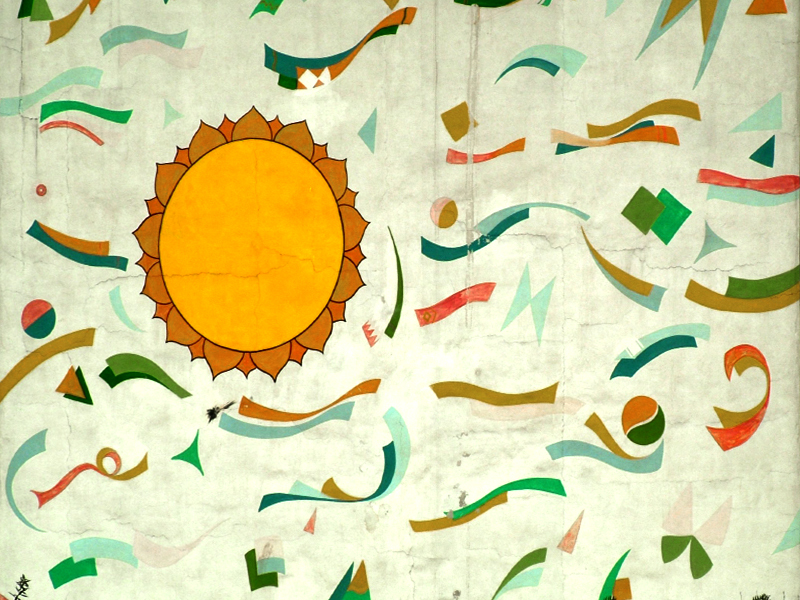 Today’s image: Mural located on Kurdistan Freeway, Yousef-Abad. Today’s image: The whole world acknowledges that our existence is synonymous with the name of Ali (peace be upon him). Today’s image: The duty of the teacher is to guide, to train and to lead.